Valentine’s Day is just around the corner, which means chocolate gets to take the center stage. 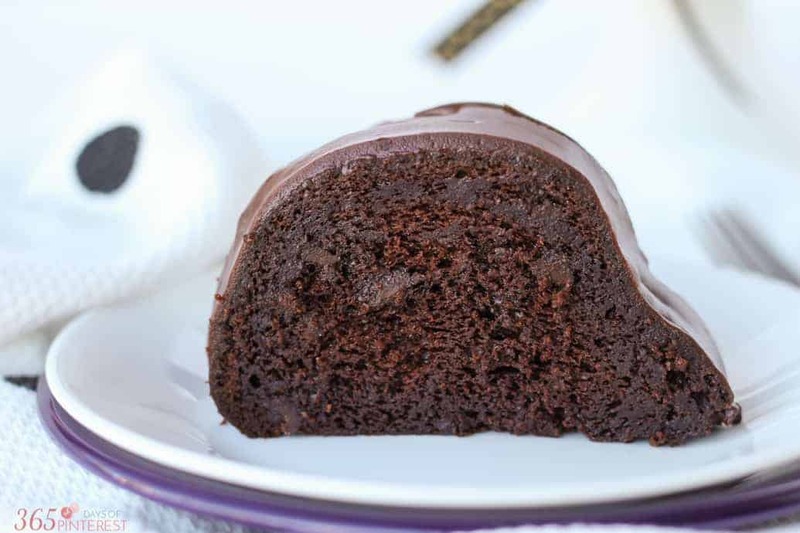 Even if you’ve been holding strong to your New Year’s resolutions, you’re going to want to take a cheat day for this Chocolate Lovers Bundt Cake. It literally is the BEST chocolate cake I’ve had in my life. 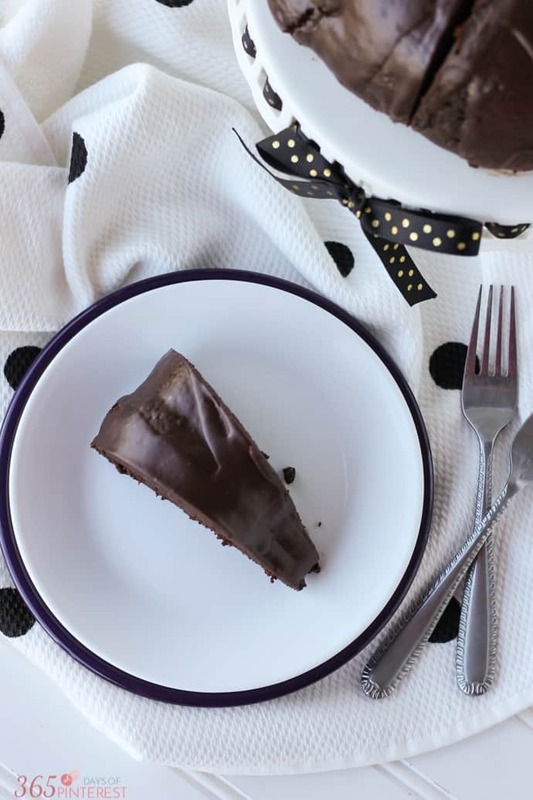 It’s rich but not cloyingly sweet, moist but not soggy, and frosted with a gleaming chocolate ganache that makes it beautiful to look at before eating. 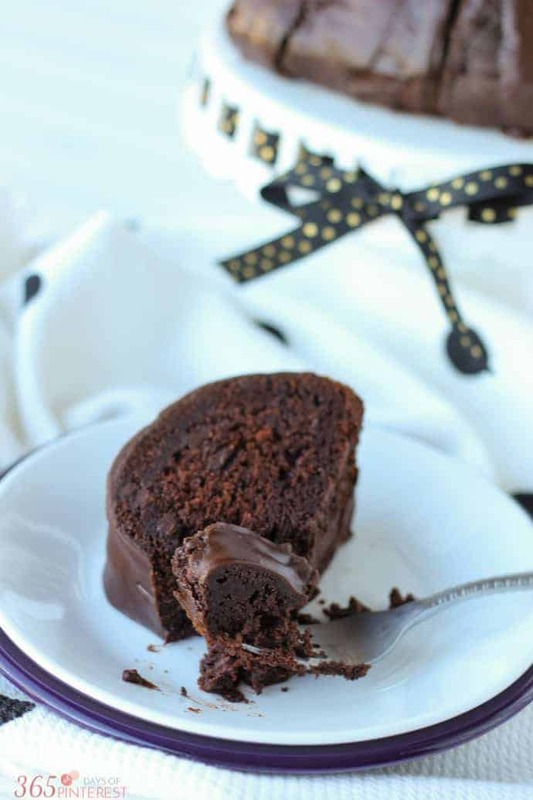 The recipe for this Chocolate Lovers Bundt Cake is actually quite simple. It starts with a boxed cake mix (gasp!) and then you do a little “fancying up” to make it rich and better than a bakery cake! I use a similar punched up recipe for my Funfetti Trifle and it makes all the difference when you want to use a boxed cake mix. 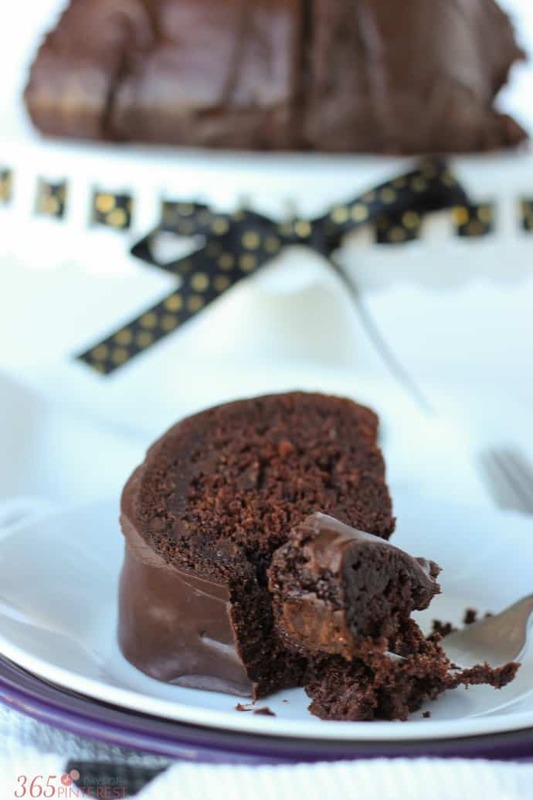 Then I added an easy ganache for the frosting and it became a chocolate lover’s dream! I brought it over to a family game night and it got rave reviews. My brother (who rarely voices praise for a recipe) declared it the best chocolate cake he’s ever had. It’s one of those things that you KNOW will be good the instant you see it on the plate in front of you. 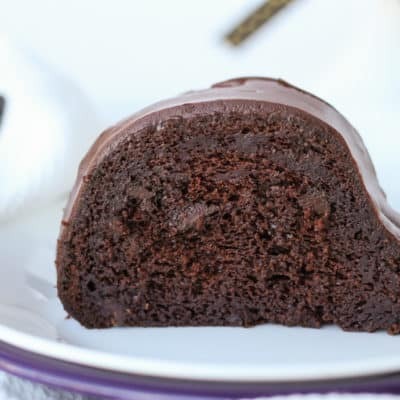 This Chocolate Bundt Cake is rich but not cloyingly sweet, moist but not soggy, and frosted with a gleaming chocolate ganache that makes it beautiful to look at before eating. Preheat oven to 350 degrees and generously grease a 10 inch Bundt pan. In a medium bowl, mix together the cake mix and pudding mix. Make a well in the center and pour in the wet ingredients. Mix on low until blended and then on medium for 4 minutes. Stir in the chocolate chips. Scoop batter (it's thick) into the pan and bake for 50-55 minutes. Cool for 10 minutes and then turn out onto a wire rack to finish cooling. While the cake is cooling, bring the heavy cream just to a boil. Place the chocolate chips into a medium bowl and pour the hot cream over the top. DO NOT STIR. Allow to sit uncovered for 10 minutes. After the cream has cooled for 10 minutes, gently stir until the melted chocolate and cream blends into a smooth, shiny chocolate ganache. Serve with cold milk-it's rich! This is my kind of cake! Off to pin.